NBC/Megyn Kelly TodayMegyn Kelly has been at NBC since she left Fox News in January 2017. 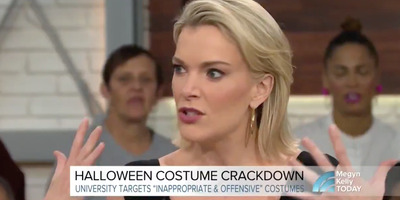 Megyn Kelly is departing NBC after defending blackface during a Halloween segment on “Megyn Kelly Today,” the network confirmed on Friday. Kelly’s comments on Tuesday, for which she later apologised, attracted widespread criticism throughout the week. Megyn Kelly is departing NBC after defending blackface during a Halloween segment on “Megyn Kelly Today” earlier this week, the network confirmed on Friday. A source familiar with the matter also previously confirmed to the New York Post’s Page Six that Kelly was out at NBC. Subsequently, NBC said in a statement it had cancelled Kelly’s show. Kelly defended blackface during a segment on Tuesday. Kelly went on to apologise for the comments, but she continued to face a slew of criticism. NBC’s chairman, Andy Lack, decried Kelly during a town-hall meeting on Wednesday. Kelly, one of the most recognisable faces in media, has made racially charged comments in the past. In 2013, she insisted both Santa Claus and Jesus Christ were white. “Just because it makes you feel uncomfortable doesn’t mean it has to change,” she said on Fox News at the time. NBC reportedly agreed to pay Kelly $US69 million over three years to help lure her from Fox News. It’s unclear how much of that contract she now stands to lose. NBC didn’t immediately respond to Business Insider’s request for comment.